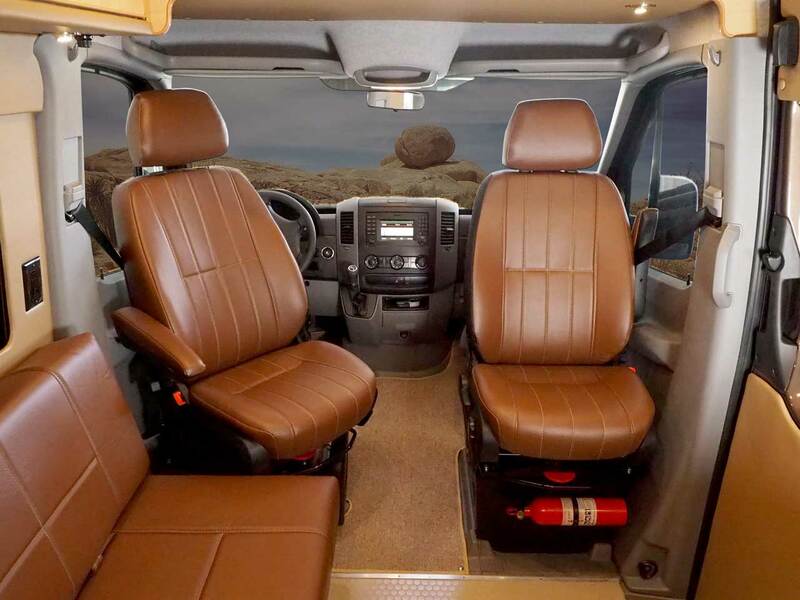 Sportsmobiles are built for long distance luxurious travel comfort. You can actually, on a moments notice, just get in and drive off for a weekend - or months of fun cruising. The entry is attractive and spacious for easy entry. A speaker is located in the galley side. Custom sound systems are a popular option. More drawers are located below the bed and extend into the rear compartment. a butcher block (o) counter top is included. A 110V induction cooktop (o) was also installed. As with all Sportsmobiles storage is maximized. In fact, some owners say they actually have to buy more stuff to utilize all the space. 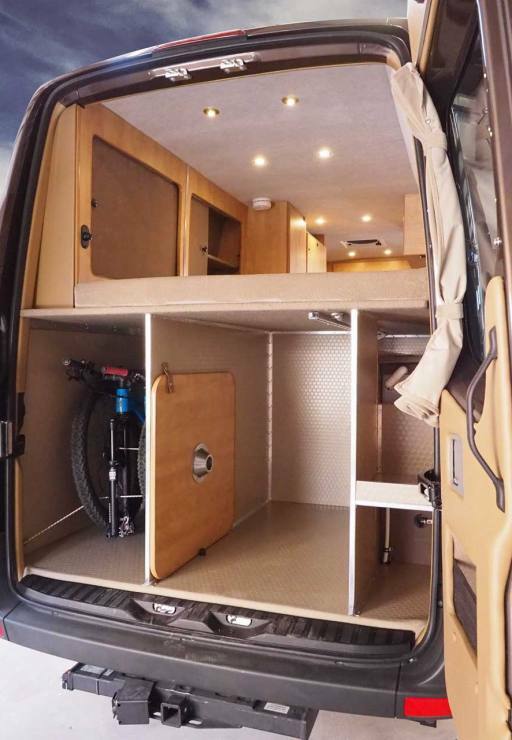 You can design the rear for whatever your gear storage needs might be. And it’s all so convenient. There’s two bikes in the compartment. Platform beds have become quite popular. For privacy a sliding curtain is available. The 7CF two door refrigerator is often ordered in place of the standard 3CF one. 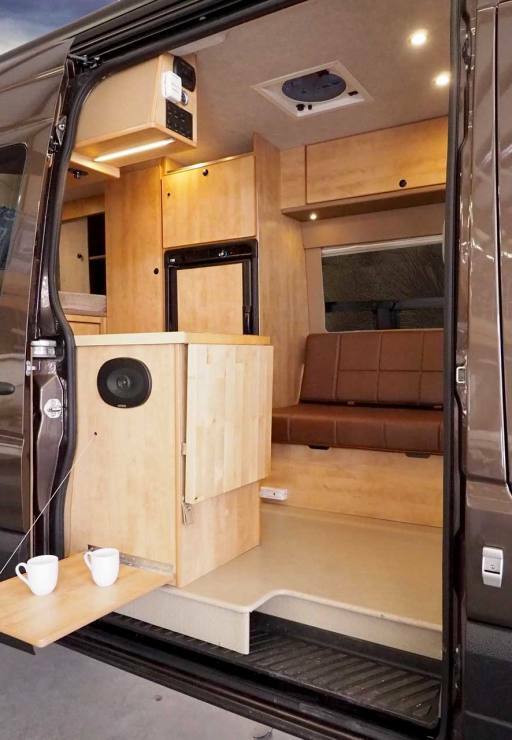 In high roof vans a control module cabinet is centrally located for convenience. The table, not shown, includes a tripod base for inside or outside the van.